We are proud to host the real kings of crust in our large happy family for the 4th time! 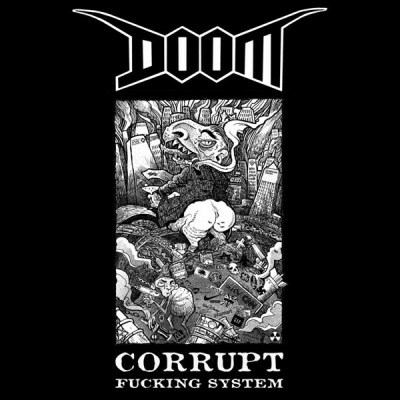 Doom are back with a new record that has nothing to envy to their previous releases in terms of energy, power, rage and brutality. This is the second press (the first one has been released under their own label Black Cloud Records) for Europe only. 14 tracks of pure, uncompromised, political pissed off C-R-U-S-T !! !